Did ousted Cadillac boss de Nysschen have the U.S. market in his blind spot? 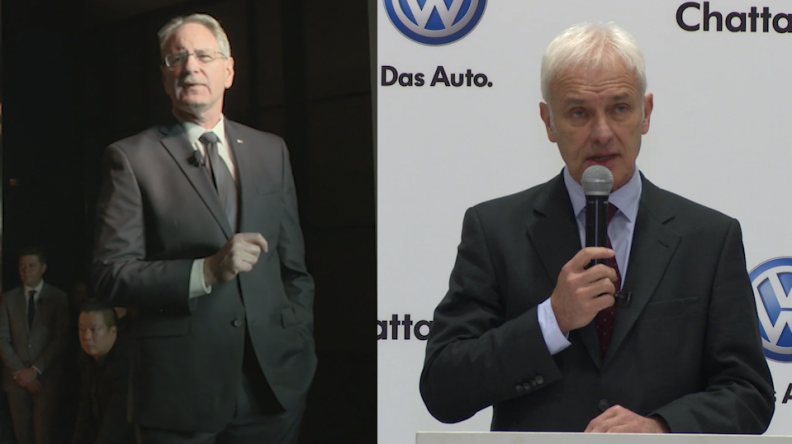 Plus, how Mueller’s cleanup job still left a mess at Volkswagen Group. Can Nissan really make the Titan fly globally? Could underdog Geely rule the world? How Lincoln, Mazda, Range Rover scored in L.A.
GM or Ford: Who's ahead in the self-driving car race? Crossovers to crush cars in '18? Will Ford's 'concrete vision' satisfy dealers, investors? What led to the surprise exits of Cadillac's de Nysschen, VW's Mueller?